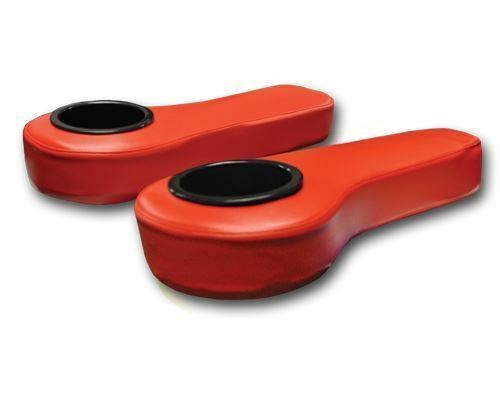 Solid Red armrest cushion with cup holders for Madjax Genesis 150/250/300 rear flip seats. Constructed of durable marine grade vinyl. Armrest cushions are also available in two-tone.